For the early birds who pre-order early (like now) Microsoft have made available a limited number "Day One 2013" editions of the Xbox One console. 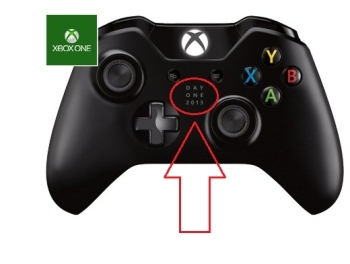 Commemorative wireless controller with "Day One 2013" engraving etched into the front. Token code to unlock exclusive Day One achievement. We do not know how many units Microsoft will be manufacturing but when stock runs out the Standard Edition will only be available. Selected retailers have been selected to sell this pack however Amazon.co.uk have already started taking orders for delivery sometime in November when the console is released.